Under the influence of a cyclonic circulation over South TN, many regions of the state have been receiving moderate rains. This pattern would continue for a day or two over Isolated parts in interior TN, South TN and some parts of the western ghats, this is expected to subside slowly. The activity in North TN is expected to pickup in a day or two and Isolated areas could witness light to moderate showers. Vellore – Mix of clouds and sun with a max of 33C. Thunderstorms are possible during later part of the day. 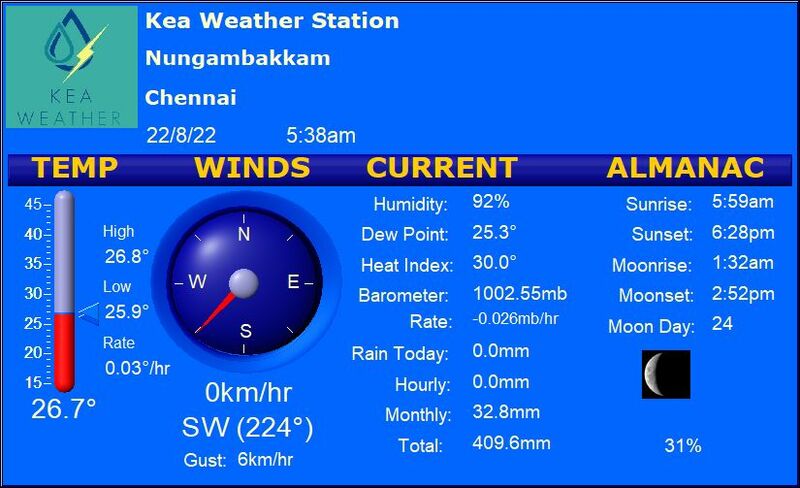 Madurai – A warm day with a day high of 33 C. Possibility of thunderstorms during later part of the day. Coimbatore – Partly cloudy sky with a day high of 32 C. Isolated showers may occur over the region.